The largest city in Quebec, Montreal resembles a major American city. But its heart is its European side, which is worth exploring. Its various districts are extraordinarily diverse and make for the charm of this metropolis. 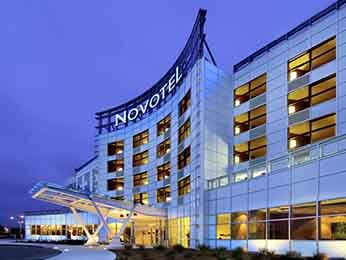 Book a stay in the Novotel hotels of the city for an opportunity to feel at peace and enjoy the thrill of discovery. Start by visiting old Montreal, bordered by the turbulent Saint Laurent River. From Jacques Cartier square, amble through the very busy small streets of the quarter and enjoy a queue de castor, a type of flat doughnut as you stroll on the quays. Then discover the marvellous collections of the Fine Arts Museum before climbing to the top of Mont-Royal for a stunning view of Montreal, the Jacques Cartier Bridge or Sainte-Hélène island and its Biosphere, an environmental museum. Browse through the huge Jean Talon market before strolling on Plateau Mont-Royal, the French quarter, where Bohemian cafés and bars flourish. For an exciting evening, visit the Latin Quarter or the Village, where bars and pubs are legion. Have a taste of modernity in the centre of Montreal and discover its unbelievable underground spaces, which cover several kilometres. To enjoy nature, the Biodome, which reproduces five American ecosystems, and the Botanical Gardens await you. Live like a Quebecois as you drink a beer on a terrace before going to enjoy a poutine before a game of hockey. 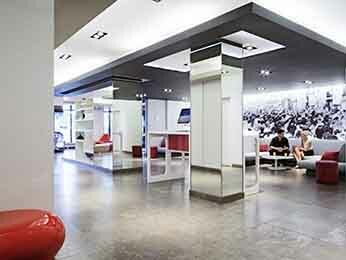 Our two strategically located Novotel hotels in Montreal will offer you the best welcome.